Lagos, 18 December 2017 – The ELFIKE Film Collective, a partnership between EbonyLife Films, FilmOne Distribution, Inkblot Productions and Koga Studios, is thrilled to announce that The Wedding Party 2: Destination Dubai (TWP 2) raked in N73.3 million during its opening weekend, Friday 15 – Sunday 17 December. This sets a new record for the Nigerian box office, beating the Fast & Furious 8 opening weekend by some N20 million. Around the world, Star Wars: The Last Jedi was breaking records too but, in Nigeria, couldn’t come close to the astounding performance by The Wedding Party 2. This monumental feat by TWP 2 is more than double the opening weekend numbers of N36 million by last year’s The Wedding Party – the highest-grossing movie in Nollywood. Biggest advanced screening total for any Nollywood production (N9.4 million). Mo Abudu, CEO, EbonyLife Films, is ecstatic at the recent success of the film. “The performance of this film continues to amaze us – we are so glad audiences are choosing to support a Nigerian film when there is so much choice this holiday season,” she said. Moses Babatope, COO of FilmOne Distribution, is excited about the movie’s opening weekend results and its potential effect on the global release. 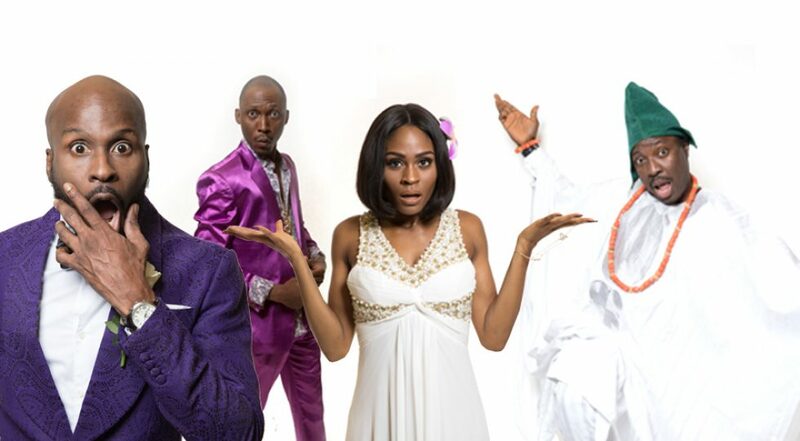 “The Wedding Party 2 has already surpassed our expectations in Nigeria and parts of Africa. We remain hopeful for similar results around the world,” he said. Like the original movie, The Wedding Party 2 seems to be a huge hit with fans. Cinemas are already gearing up for a bumper holiday weekend, with advance tickets selling fast, as audiences look to avoid long lines or disappointment.